military. And as I continue to evaluate the intelligence information and hear the calls and emails from our neighbors, I continue to have strong reservations about the President’s draft resolution asking Congress to authorize the use of military force when there remains so many unanswered questions on the mission and the goals." * ... SANTOS: Gonzalo Santos is a CSUB sociology professor who has been involved in the push for sweeping reform of our immigration laws. 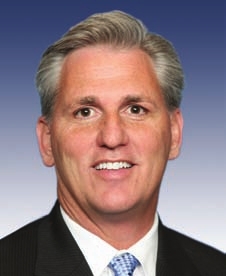 On Tuesday at 9 a.m., I will talk to Santos on KERN NewsTalk 1180 (broadcast live on Bakersfield.com) to hear his take on his meeting with Congressman Kevin McCarthy. McCarthy claims Santos threatened him, giving him a three-month timeline to pass immigration reform or protestors would shadow him and make his life painful. Santos told me McCarthy exaggerated his comments. We will talk about that and immigration reform Tuesday. Tune in. * ... KINDNESS: Kim Schaefer shared this act of kindness that she witnessed at the 24 Hour Fitness center on the east side. When she arrived at the gym, she found a large pit bull sleeping by the front door. "The concerned young lady at the front desk called Kern County Animal Control. Meanwhile two young ladies came out and were very concerned about the well being of the dog because of the recent headlines regarding KCAC. The girls took the dog and plan on adopting it. I thought it was very kind and wanted to this story about these terrific young people doing their part." * ... POLLUTION: There has been a lot of give and take on this blog about whether idling cars contribute to air pollution. This idea from Greg Laskowski: "Let’s see. It’s 108 degrees outside on a typical Bakersfield summer day and depending on the type of vehicle being driven the temperature in the car could rise to 115 degrees If you have a pet, an infant, or a frail senior in the car with you, are you going to shut of your engine or sit in air conditioned comfort? Let’s be practical and use common sense here. That’s why we call this town Bako." * ... ANIMALS: Apricot Lane Boutique over at the Marketplace is offering a special incentive to help the animals at the Kern County Animal shelter find forever homes. According to Tami Calderwood, a North High graduate and boutique owner, anyone who adopts a pet from Kern County Animal Control shelter in September before they close their doors will receive a voucher for 50 percent off their purchase. Now that is a good deal. It runs through the end of this month. * ... INTERFAITH: There is an interesting conference set at CSUB to discuss the role of religion in world peace. It's the 16th annual Bakersfield Interfaith Conference and it is set for Saturday, October 5, from 10 a.m. to 12:30 p.m. in the Student Union Building. Admission is free and among the speakers will be CSUB's Professor Stafford Betty, who will give opening remarks on Gandhi. Would be interested in learning why Santos believes that breaking laws should be rewarded with citizenship. I wonder if Santos is aware of the wording of Birthright citizenship? "Every human being born within the jurisdiction of the United States of parents not owing allegiance to any foreign sovereignty is, in the language of your Constitution itself, a natural-born citizen; but, sir, I may be allowed to say further that I deny that the Congress of the United States ever had the power, or color of power to say that any man born within the jurisdiction of the United States, NOT OWING A FOREIGN ALLEGIANCE , is not and shall not be a citizen of the United States. Citizenship is his birthright and neither the Congress nor the States can justly or lawfully take it from him." How many babies of illegal alien parents born in the U.S. actually qualify for birthright citizenship? We American citizens should examine this information closely!